The new Aquarooms showroom, formerly of Potters Bar and Hampden Square, has made its new home in Green Hill Parade, Barnet and features Villeroy & Boch bathrooms and tiles presented with “boutique hotel style”. “We have been at Hampden Square for over 30 years and the parking restrictions were becoming a problem with our customers,” says Grant Bilben. Square, Osidge Lane, has been trading as a bathroom showroom for over 30 years supplying high-level brands such as Villeroy Boch and Majestic. Aquarooms director Grant Bliben said: “It’s a shame to say goodbye to Hampden Square. I was the first one in the family to start here over 30 years ago, with a single unit selling plumbing fittings from a trade counter. 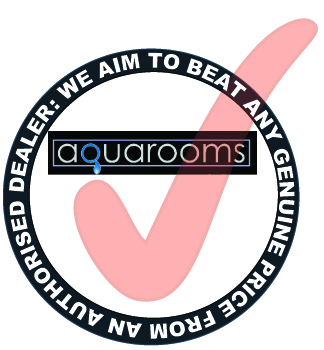 With the support of their manufacturers,Aquarooms will refurbish the showroom over the next few months, incoporating designer brands such as Art Ceram from Italy, Keuco Villeroy Boch and Duravit bathroom displays, and the latest ranges of bathroom acccessories and mirrors. Included in the plans is a design area with a focus placed on tiles, flooring, lighting and finishing touches. Grant added: “I have a fantastic managerial team with me on this new journey and their input is priceless. Showroom manger Neil Appleyard has been in the industry for 25 years since he left school. “Between Neil and I, we design and project manage all our installations. “Our design philosophy is that it should be low-key, chic and understated but rich in detail. We aim to offer classic and contemporary styles keeping perfectly in tune with not only the latest trends, but more importantly our Customers’ needs. “We offer an exceptional choice of designs and materials with accessories creating that all-important personal touch.” Whether your room is bijou or spacious, Aquarooms can suit all needs and lifestyles.